My friend has been fighting her battle with leukemia. Losing her hair has been understandably traumatic. Wishing I could do something more for her, I searched online and found an easy free tutorial to make chemo-cap head-scarfs. 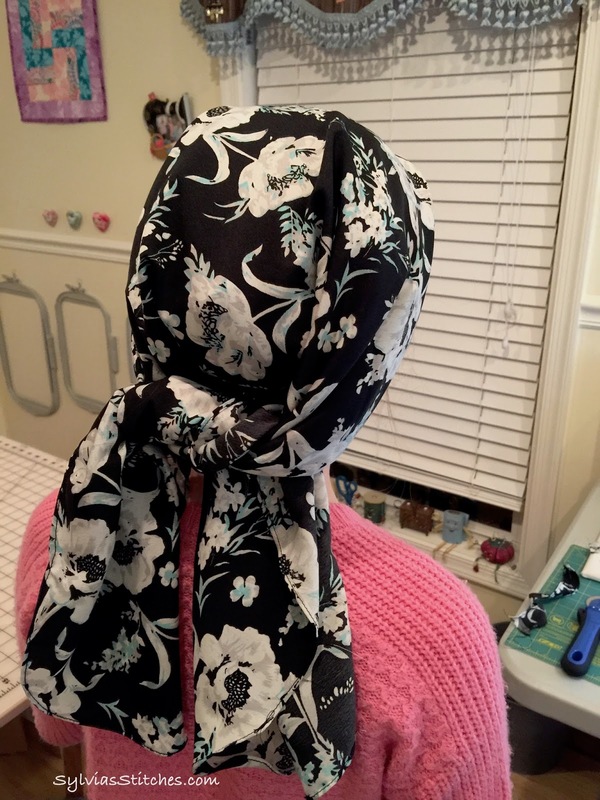 I like these because they are a cap with full coverage, but also a scarf that looks pretty. 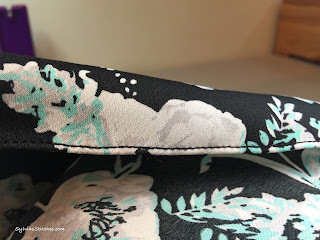 You can find the instructions from Daydream Believers here. 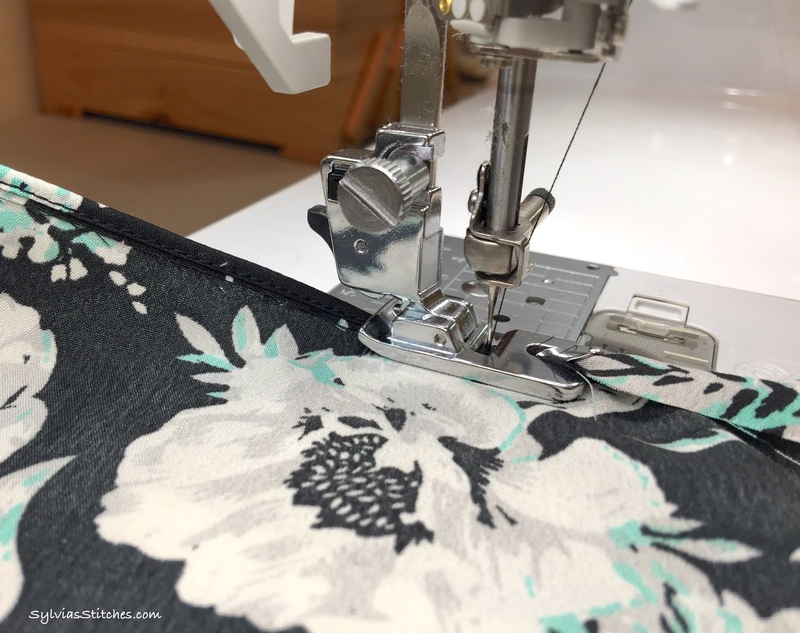 Following her instructions, with just a couple changes. 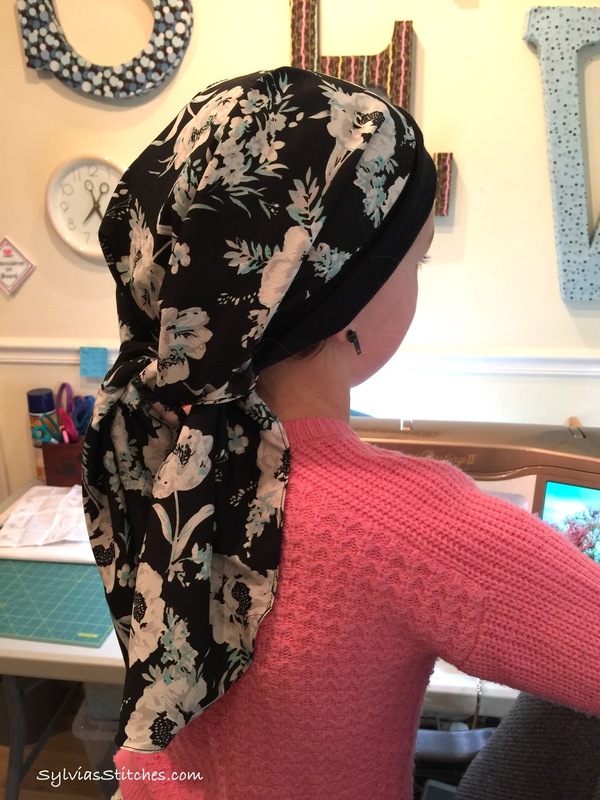 I've made several chemo cap-head scarfs for my friend. Also made a couple to give my sister, who is an oncology nurse. 1/3 yard of silky print polyester fabric for scarf. 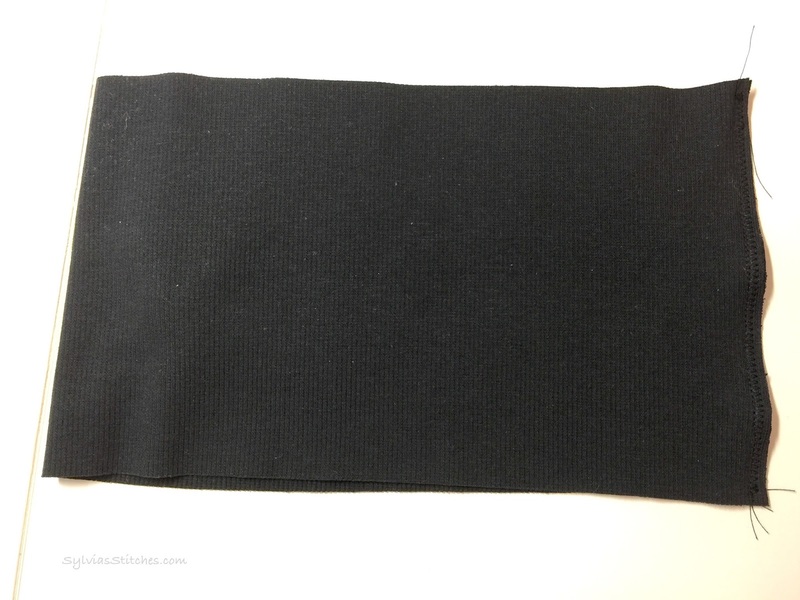 1 piece of ribbed knit fabric for band. Measure and cut 6" x 21", with the "ribs" of the knit following the short (6") side. For the most part, I followed Daydream Believers Adult-size cap tutorial for silky polyester fabric. 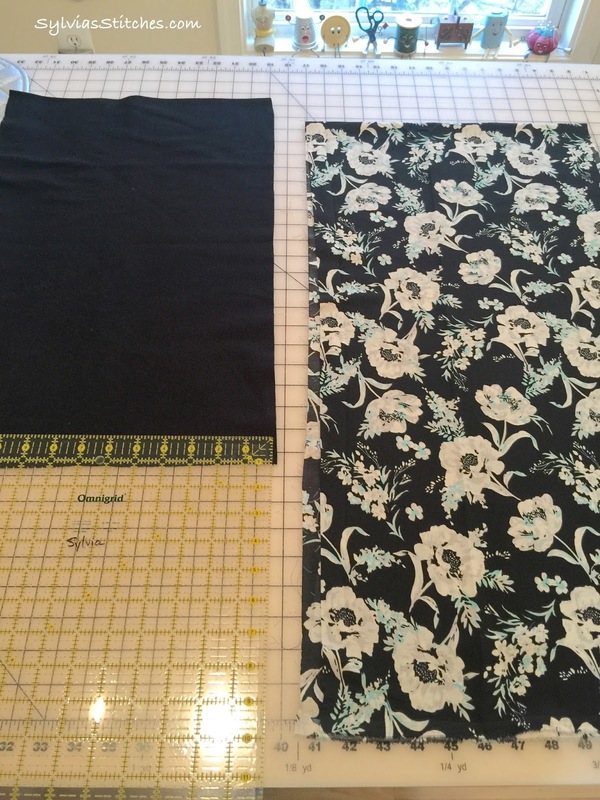 Fabric for band and scarf. I wanted the scarf to have longer tails to work with, so I used the entire width of the fabric for the scarf. 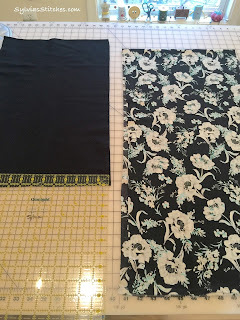 Just straightened the long edges of the 1/3 yard fabric piece, and trim off the selvage. 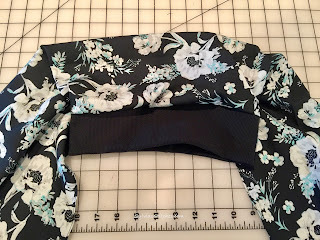 Round the scarf fabric edge. 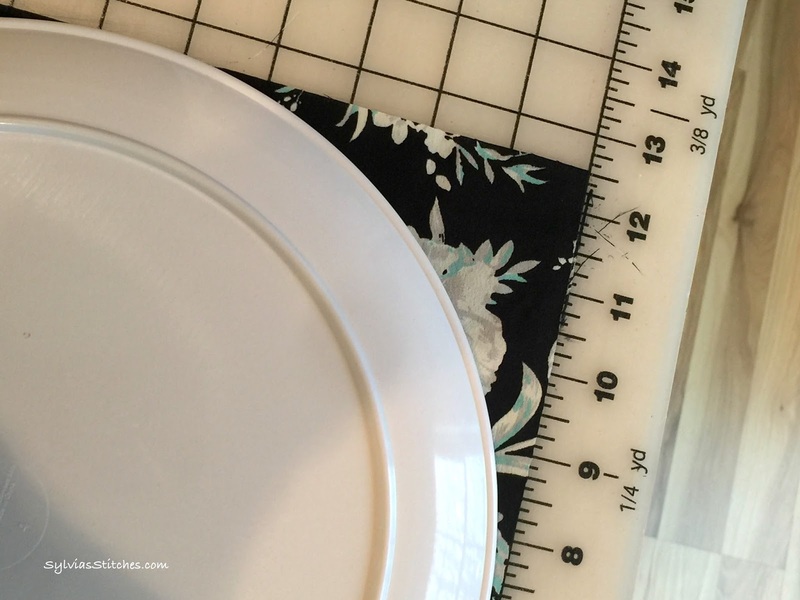 The edge of a dinner plate works well. Finish the edges of the fabric with a rolled hem. I used the Narrow Hemmer Foot all along the edge of the scarf to do my hem. 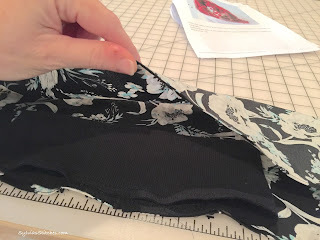 Fold the fabric over as it enters the foot, and it will tuck in the edge and stitch it down. 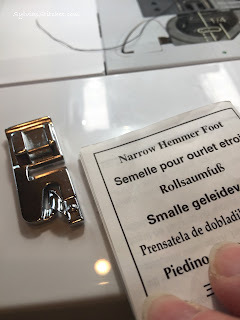 Side-view of narrow-hemmer foot in action. 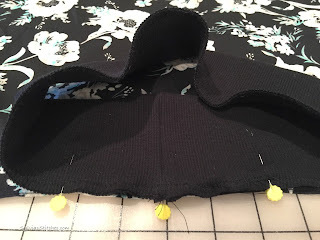 Finished edge using the narrow hemmer foot. 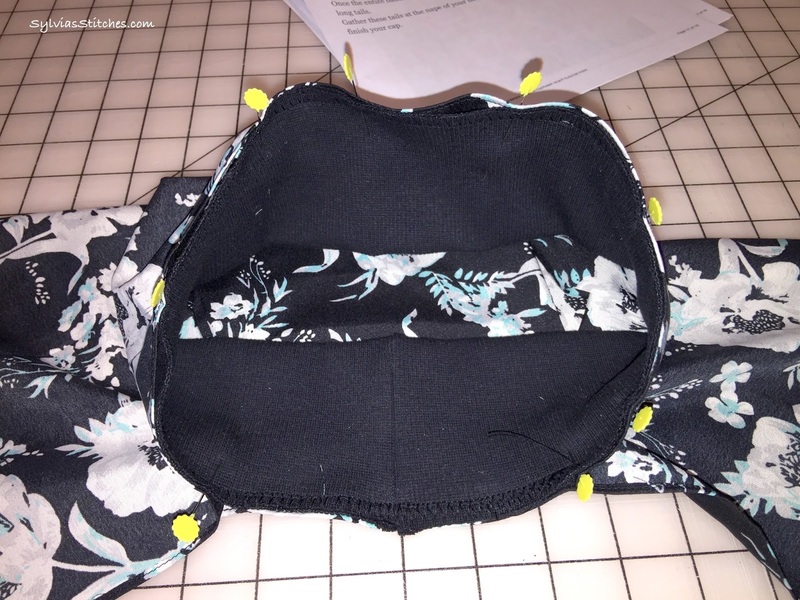 Create the head band by folding the 21" x 6" knit fabric piece in half (right sides together) and sew the two short sides together using an overcast stitch for stretch fabrics. 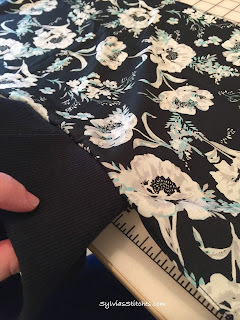 Then fold the long sides together (wrong sides touching) and sew with an overcast stitch along the long edge. 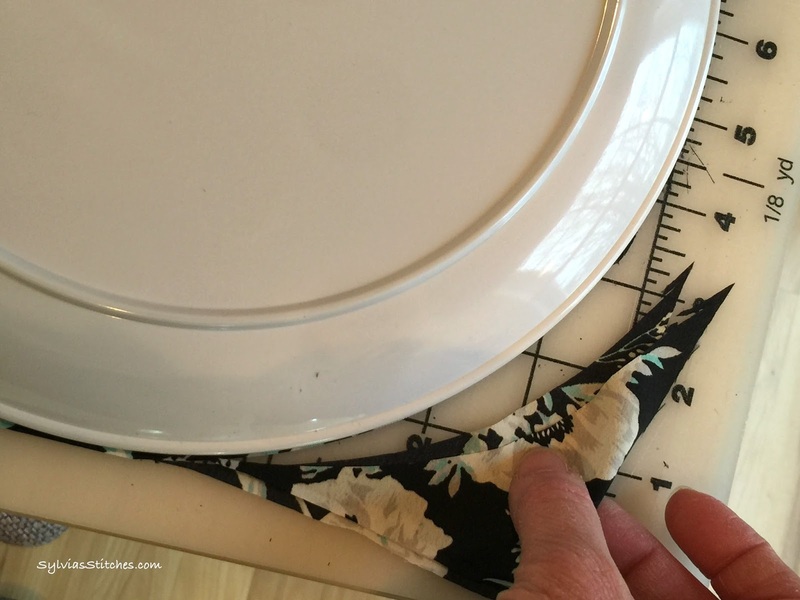 Step 1 of band - sew right sides together to make 10.5" x 6" piece. 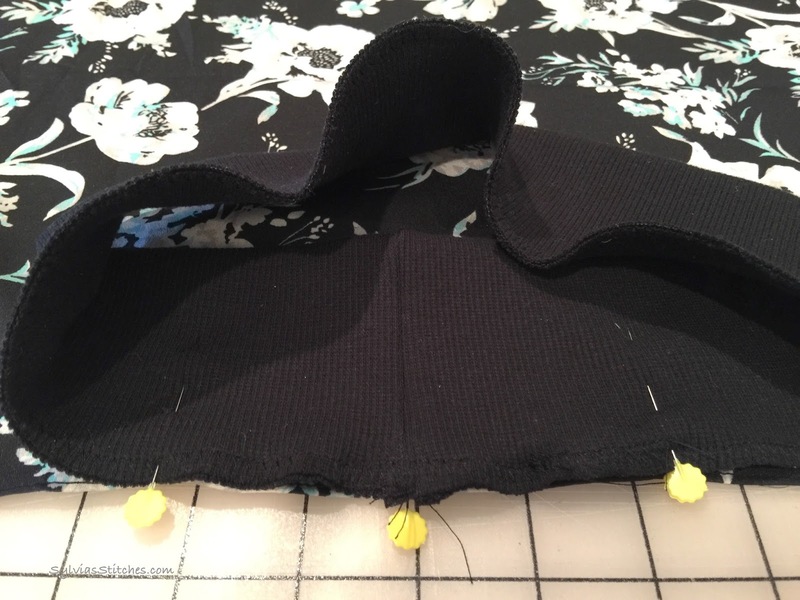 Step 2 of band - fold long edge (wrong sides together) and sew long edge. 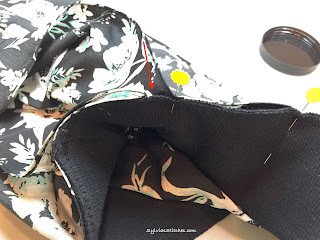 Lay scarf fabric right-side up. Pin the raw-edge of the band centered along the long edge of the scarf fabric that will be the bottom of the scarf (the part worn at the nape of the neck). 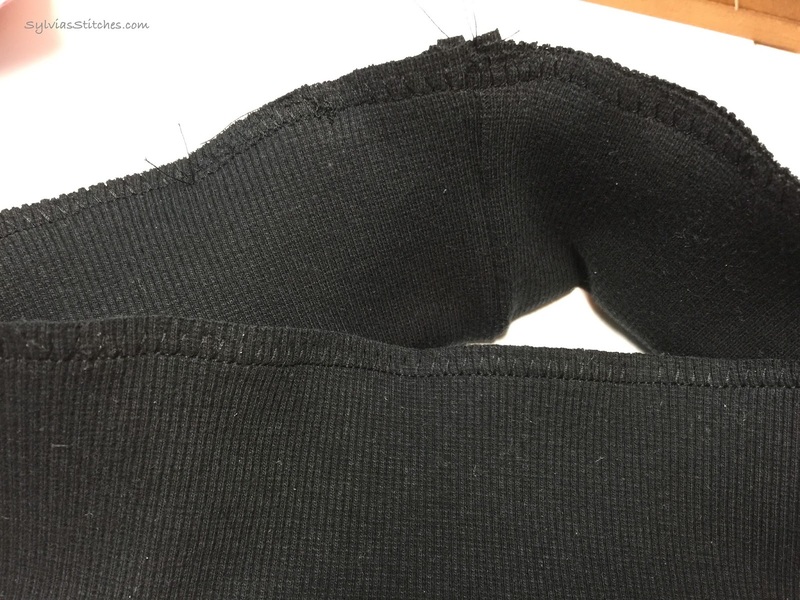 Place the seam of the band at the center point so it will be hidden under the scarf when worn. 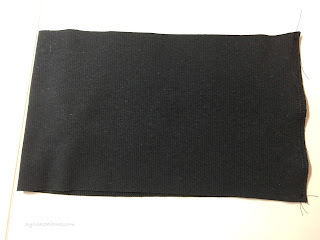 Sew band 5" centered on edge of bottom of scarf fabric. This is what the first sewing step looks like when complete. 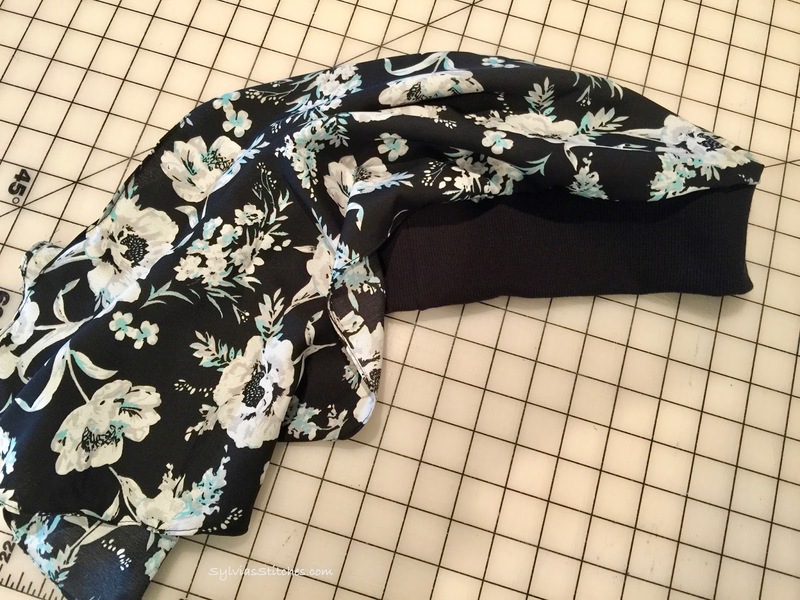 Bring the top long edge of the scarf over and pin to the rest of the head band (Right sides together). Fold the top edge of the scarf over to meet the headband. 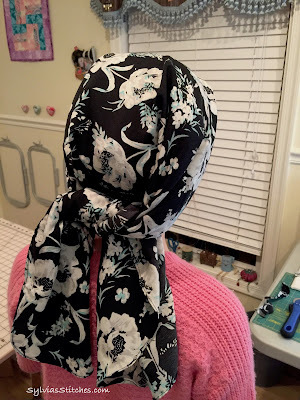 Pin the top edge of the scarf to the rest of the head band. 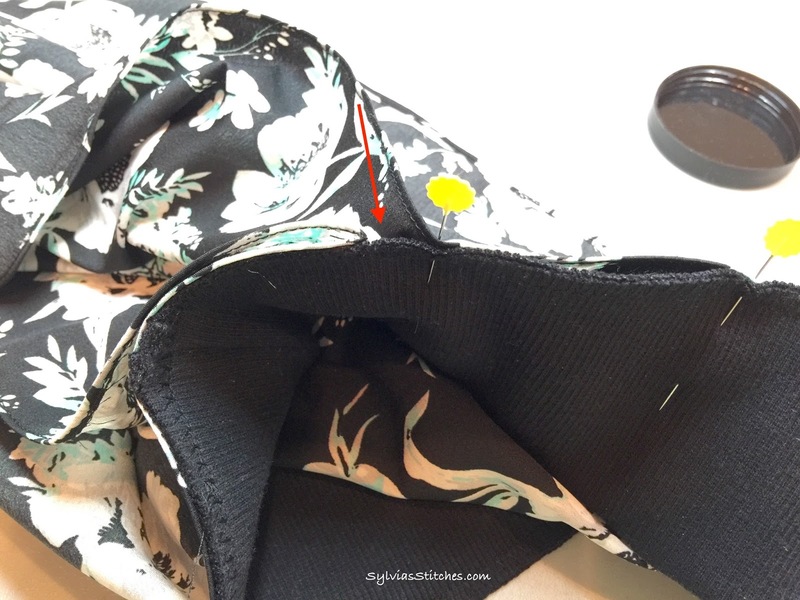 The arrow points to were the top of the scarf meets the the bottom sewn edge. 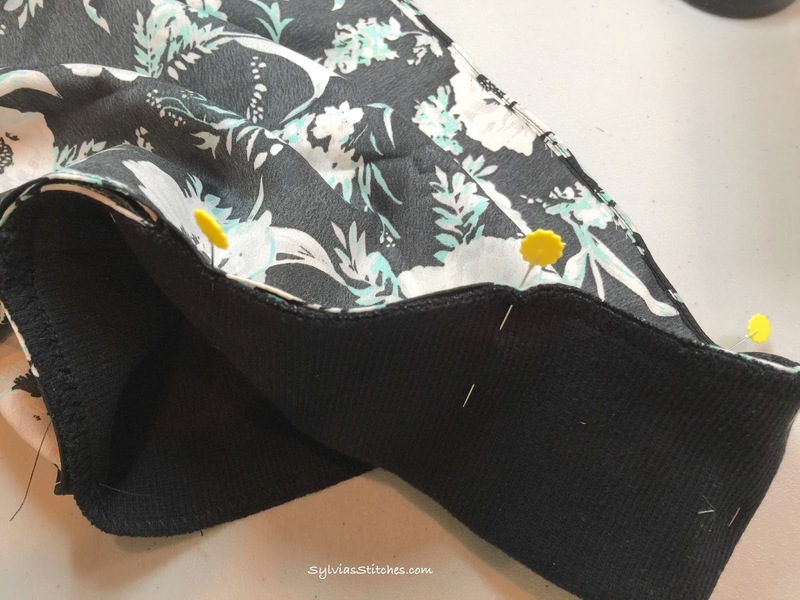 Sew the pieces together along the headband edge with a straight stitch. Use a 1/4" or slightly wider seam to cover the overcast stitching done on the band in the first steps. 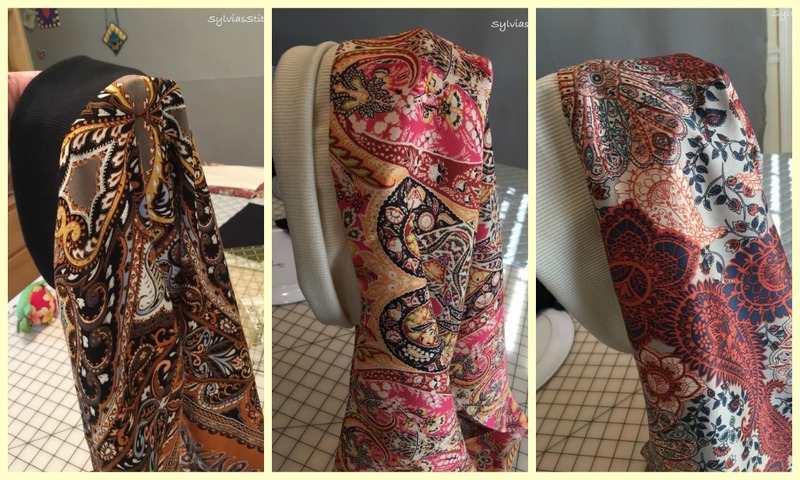 The scarf is done! 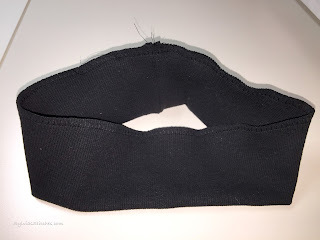 It has two long tails that can be gathered at nape of neck and gently tied. 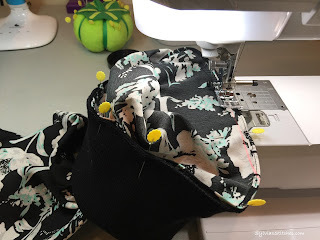 I'm sharing this with Funky Polkadot Giraffe Tuesday Linky Party, The Quilting Room Fiber Tuesday and Free Motion by the River. Beautiful! What a thoughtful gift. 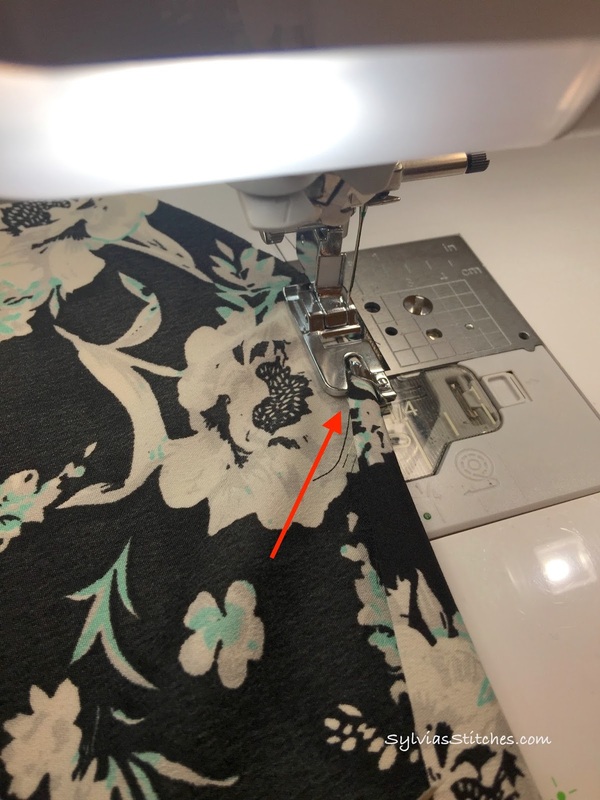 Thanks for the tutorial.